Businesses who approach cyber security as an IT risk rather than a business risk will struggle and in many cases fail to appropriately manage the risk. Addressing this as a business risk with the right mix of people, processes and technology will mean businesses are well placed to reap the benefits of the digital world. This report by Telstra aims to assist organisations in the Asia Pacific region to better manage and mitigate their business risks by sharing our knowledge of the evolving security landscape. It draws on analysis of security event data gathered from Telstra managed infrastructure and trusted third party security partners. In addition, Telstra engaged a research firm to interview professionals responsible for making IT security decisions within their organisations. 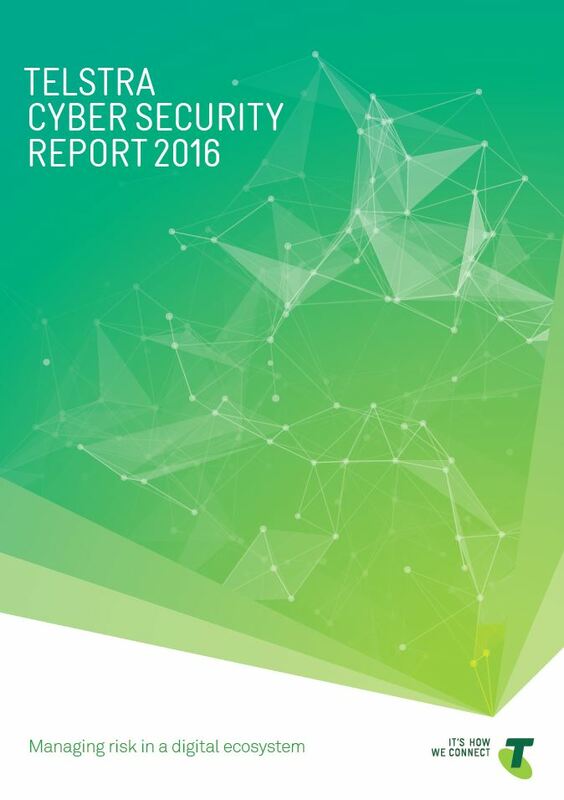 This report aims to share our knowledge and insights about the cyber security risk identified by businesses in Australia and the Asia Pacific region. Some of our findings highlighted the extent of the threats, and equally the increased awareness of this important issue. Posted in Asia Pacific, Communications, Digital Economy, Policy, Security and tagged cyber security, Telstra.